VOD: The Flint water crisis will never end for the people of Flint and their children, of course, because they have been damaged for life. VOD, however, has been reporting that Flint-type water is coming to YOUR town soon, under the auspices of the regional Great Lakes Water Authority (GLWA), a product of Gov. Snyder’s Detroit bankruptcy carried out by Emergency Manager Kevyn Orr. 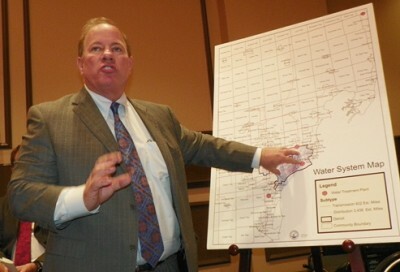 Detroit’s illegally elected Mayor Mike Duggan targets the DWSD as he announces GLWA creation Sept. 9, 2015. 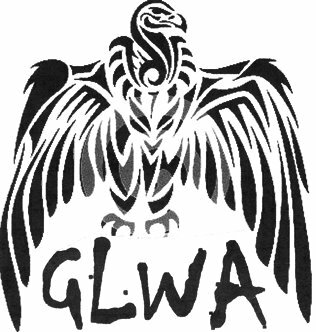 A GLWA-DWSD/R partnership is scheduled to start Jan. 1, 2016. This does NOT carry out the mandates of the bankruptcy Plan of Confirmation regarding the GLWA, which meant it to be an independent authority with DWSD as a retail customer subordinate to it. An article just published in the Washington Times questions the capacity of Gary Brown, just anointed head of the DWSD by “Mayor” Mike Duggan, to run the DWSD, since his experience is related to his years in the Detroit Police Department. PLEASE see VOD stories below, and ACT this time. The petition that is out there to stop the GLWA is still current, since there has never been a legal notice published under PA 233 of 1955 of the contract between the GLWA and the City of Detroit signed June 12, 2015, and Detroiters’ right to a referendum to make that contract null and void. Only 15,000 Detroit resident signatures are needed. Links to the petition and all pertinent documents are included in the stories below.